His Excellency (H.E.) Eng. 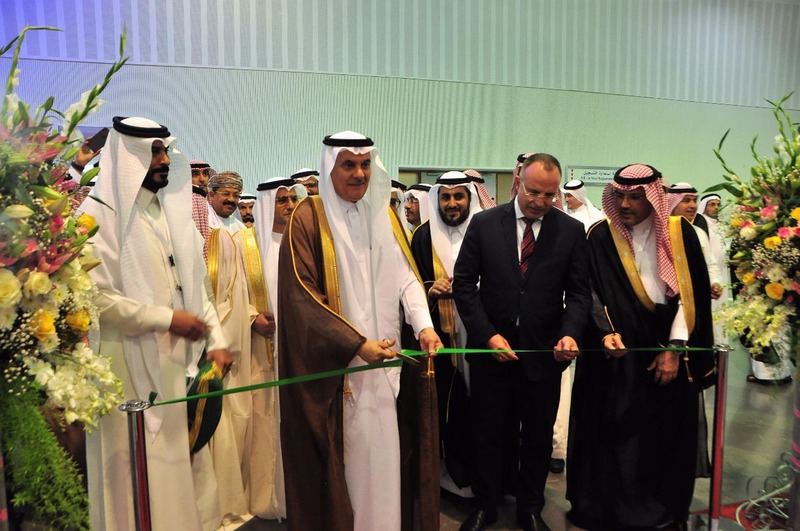 Abdulrahman bin Abdulmohsen Al Fadley, Saudi Minister of Environment, Water and Agriculture led the inauguration ceremonies of this year’s edition of the Saudi Agriculture Exhibition 2018 yesterday, October 8, 2018 at the Riyadh International Convention & Exhibition Center. The event, which is organized by the Riyadh Exhibitions Company, is set to run until October 10, 2018. The exciting three-days show, which has received remarkable interest from the local and regional press, is set to see the participation of global leaders coming from more than 33 countries while also exploring investment opportunities within the country’s Saudi agriculture sector. During his presence at the show, Minister Al Fadley, along with several senior officials, were given a tour of the exhibition area to check on the latest technologies, machines, solutions and services from local and international exhibitors. The event aims to serve as a strategic platform to promote the agricultural sector, falling in line with the directives to enhance sustainable agriculture and rural area development-opening new opportunities for employment, food security and balanced development. Now on its 37th year, the Saudi Agriculture Exhibition, which is also known as the International Exhibition for Agriculture, Water and Agro-Industries, continues to attract international and regional visitors looking to explore emerging trends and developments in the Saudi agricultural sector, with unlimited government support to stimulate agricultural investment. During their participation at this year’s show, the National Center for Palm and Dates has revealed that it has now reached over 4,000 local free outlets and around 1,400 international free outlets. The announcement complements their continuing efforts to become a premier exporter of dates through a reliable trademark known for its quality and safety–facilitating the marketing and e-marketing of Saudi dates on both the local and global fronts. Saudi Agriculture Exhibition 2018 focuses on organic farming, fish farming and agriculture as a key component of sustainable food security. The event will be held in conjunction with the ‘Saudi Aquaculture Society’ and the ‘Saudi Organic Farming Association.’ The exhibition will be a platform for the development of trade relations and will provide opportunities for all sectors of food, business and government sectors.